What’s in a job title? Hello, this is Laura Lee Rose. I am a speaker and author. I am an expert in time and project management. I help busy professionals and entrepreneurs create effective systems so that they can comfortably delegate to others, be more profitable and have time to enjoy life even if they don’t have time to learn new technology or train their staff. I have a knack for turning big ideas into on time and profitable projects. At the end of the day, I give people peace of mind. Today’s question came from a busy professional interested in freeing some time and space to advance in his career. What’s in a job title? How does one pick the appropriate job title? What does a title say about us? A rose given any other name still smells as sweet. 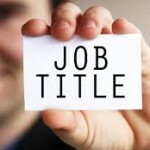 So – what’s in a job title anyway? How important is it? If you had asked me this question several years ago, my answer would be very different. My answer would probably center on individual prestige or associated with the number of years and experience associated with a particular job role or responsibility. Today, my recommendations lean toward looking at what we are trying to accomplish with that title. Today, I would go back to the company’s goal or the directive. If – for instance, your job is to influence high-profile, high-paying client – then your job title needs to be prestigious enough to warrant their time and attention. A high-profile client may schedule time with a Director of Research versus a Software Engineer. But having the owner of the company be the one to install the product at their test lab – may have the opposite effect. It may put unwanted exposure that you are a one-man show versus a long-established company. In that situation, you might want to underscore your founder/owner status and just state that you are here to install their new software. An unhappy customer may feel better heard if the Customer Advocacy Manager is working with them, versus Tech Support Staff (even though the Tech Support person is handling all the customer advocacy issues). The audit team might feel better talking to your Division Audit Officer versus your QE Manager (even though the QE Manager is also the one handling all the Audit and Process issues). Since business cards are inexpensive and you can create your own, having several cards with different titles is useful. To avoid fumbling through which card to give out – have your goal and purpose in mind before the networking event or meeting. Then only bring those cards to the event. So, in general – my recommendation is to directly associate the job title that will make it easier to achieve the results that you want. Don’t focus on the “years of experience” or “conventional title hierarchy”. 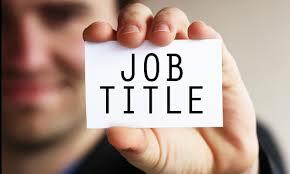 Get creative in your job titles – and focus on what you really want to achieve with them. If your target client values creativity and innovativeness, get creative with your titles. If your target client is more procedural and strategic, then more conventional titles would appeal to them. Focus on the goals and what would attract the target clients. I know your situation is different. Why don’t we schedule an appointment, where I get to know more about your unique situation? And then I will be happy to make recommendations on what your best steps are moving forward. To schedule an appointment, book it HERE. With enough notice, it would be my honor to guest-speak at no cost to your group organization. Do You Recognize The 5 Early Warning Signs of Project Failure? How does a one-woman business handle big growth, fast? How to manage starting a business with your husband or significant other? How do I get things back on track on a very important project that is falling apart? How can I fit in professional development into my busy schedule? Optimize career for learning or responsibility? How would you handle an employee resigning during a critical time period?